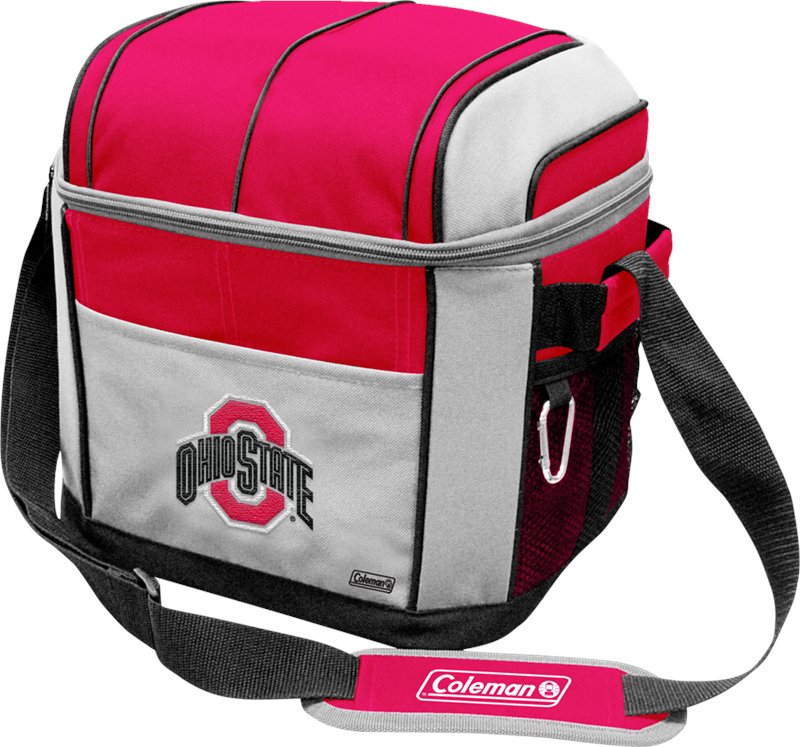 The Ohio State Buckeyes 24 Can Soft Sided Cooler is perfect for keeping your food and beverages fresh on game day! This durable cooler from Coleman® features an embroidered team logo on the front, leak proof insulation, an adjustable shoulder strap, and mesh pockets for extra storage. Best of all, it is large enough to hold 24 cans of your favorite beverage for a long haul of game day fun!